During some correspondence with Polli Marriner and Colleen Stanaway recently. 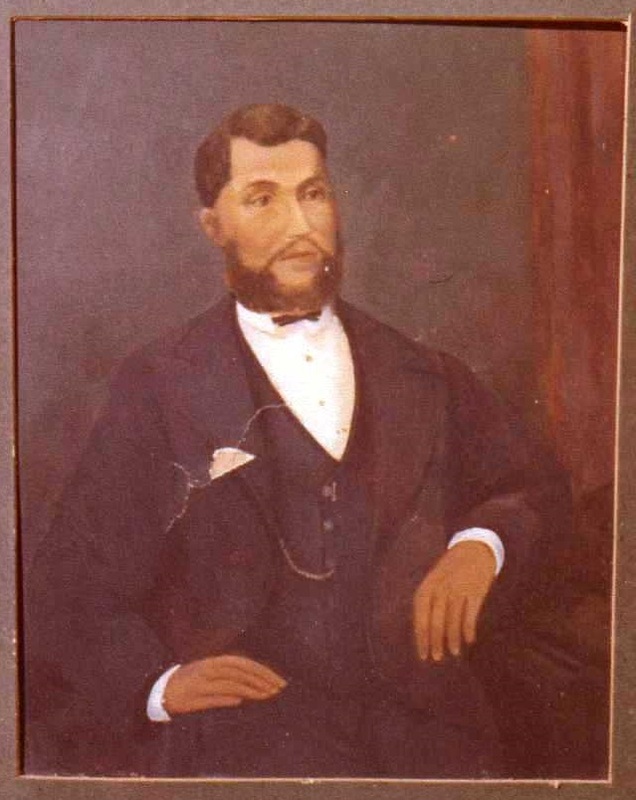 Colleen was reminded of a portrait of a young John James Stanaway. I will let her tell the story….. I was reading her (Polli’s) posts on your website trying to work out what she might think I could help her with and saw the comments about JJs portrait. If you have seen my reply you will know that I recalled taking some photos of it probably 30 plus years ago. “I must have been interested in the family story even then. I wasn’t living at home then but I remember Mum saying that Uncle Graeme turned up with it one day when they were farming at Tokatoka then took it away some time later but they never knew where it went. In a way it doesn’t surprise me to hear it is on the marae at Naumai, as I now know a lot of Kataraina’s descendants lived in Naumai which is not far from Tokatoka. It is weird that I went to school in Ruawai with some of them and also with some descended from Sarah Ann’s family but didn’t know it. The family tree hadn’t been recorded then. This entry was posted in Uncategorized on January 20, 2019 by gregorypaulskinner.